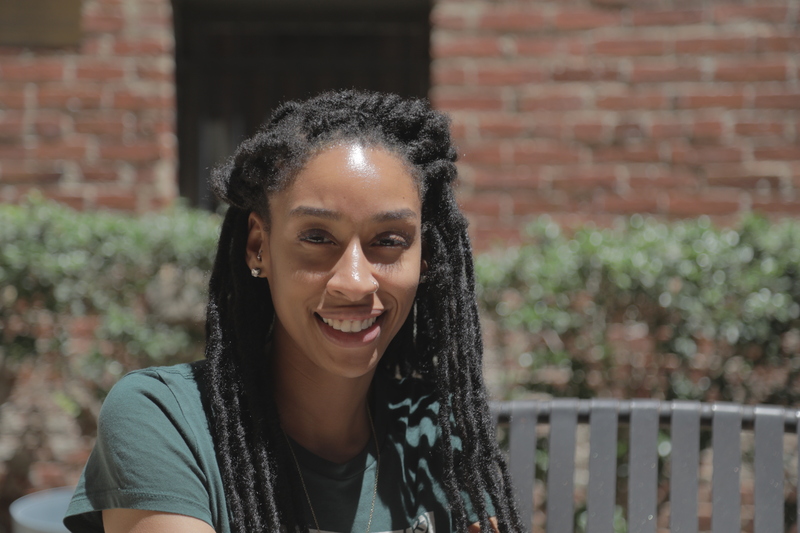 After completing her Master’s in Social Work at Howard University, Jalyn joined Samaritan Inns as an Addictions Counselor for our Women with Children Program this past March. With a lifelong passion for serving others, Jalyn is a vital part of our Women with Children Program’s success. What inspired you to get involved with substance use treatment? I always knew I wanted to be a therapist or in the helping professions. I know that people are made up of the many interactions they’ve had, not just individuals. So I wanted to get to know more about mental health and substance use in my Master’s program. That’s where it sparked my interest and I knew that I wanted to come into this field. And, some personal reasons as well. My father’s in recovery. So he actually does this line of work as well. Just seeing what he’s been through and what he’s overcome, kind of inspired me, what he did to get out of that predicament. When did your father begin his recovery? It’s still a process. I want to say I was more conscious of it, maybe around 7 or 8th grade. That’s when I noticed that maybe he was struggling with it, or like, trying to get back into therapy. My cousin passed away, which was his niece, that’s what like triggered it. Then watching him go to therapy, get on his psych meds, kind of helped him. So, addressing the mental health piece. And I think the mental health piece is what led him to substance use. Now, he’s a substance use counselor. He finds it enjoyable. I mean, there’s always the stresses but that’s his purpose he feels. Do you work through any job issues with your father? He helps me, I kind of help him. He has the experience and I have the academia, even though we’re in two different things. It’s nice. Sometimes I have to turn it off. I just don’t want to talk about work. I don’t want to talk about substance use. No. Groups. None of that. I just need you to be my dad. What values do you try to instill at the Women with Children Program? I try to emphasize, mainly knowing themselves, self-love. And we focus a lot on relationships, family relationships, romantic relationships, as well as coping skills for their addictions, building new habits, so they’re breaking the old ones. So just kind of like, making sure that were insuring them to be focused on their recovery. Really instilling in them that recovery is possible, as long as they’re doing the work. It’s not easy. Do you think are some of the additional challenges clients in the Women with Children face that the regular treatment program would not have? You have a lot of women who are in the program who may have two children with them but they may have other children who elsewhere and maybe other family custody or in the state’s custody, so, dealing with that is a whole other issue that may not arise over there. Also, while they’re in the house, they’re single parents. And the family relationships they’re coming from may not be the ones they want to be having with their children. So, focusing on parenting skills and developmental milestones. They may not know that stuff. A lot of them don’t. There’s different values they can bring to their children, rather than continuing the cycle of addiction, poverty. And, I think that our groups are tailored toward the woman aspect and gender specific. We focus a lot on trauma healing, stuff like that. Experiences unique to being a woman in our society? Exactly. Being a sister circle. Being supportive. Be respectful of others and their feelings, their experiences. A lot of them have found themselves in the same experience, just a different variation but they can relate to that. It’s not always sister circle (Laughs). Sometimes it definitely gets challenging in the house. Personalities may clash. But, we do try to nip things in the bud, holding people accountable, making sure they’re holding themselves accountable, even when clinical staff is not around. Make sure they’re being respectful of the rules of the house at all times. And that way other people aren’t triggered to leave, on their own or end up in a situation that just gets bigger. Right now we’re at a good place, it does ebb and flow with the different groups in the house. I think it’s healthy when we have a mix of older and younger, there’s different perspectives, experiences, all that stuff. What’s your experience with the Child Development Center? I love the children. Sometimes I try to do different stuff. Sometimes, I’ll take them out to water the plants. Or I’ll go to the back and play with them. Just try to create memories, positive memories. They definitely bring joy to Clark Inn. Mainly because these women have been through so much and just having their children or child with them brings a little bit of light to their lives, knowing that they are doing something right. They have an opportunity to raise this child differently than they were raised. What’s been your biggest challenge so far and best experience so far? Biggest challenge thus far has to do with my age, and, I’m still working on myself. I’m still developing. I’m not a parent. So getting them to understand my perspective and the value I can bring to them. And I do understand the value they bring to my learning at Clark Inn as well. Do you think there’s assumptions made there about you being young and not a parent? For sure. It may not be said but it’s the elephant in the room. Me being young. When I told them my mental health background, my experience, me just coming into the substance use field. I try to be open about my experiences and what I’ve been through. They know about my father in recovery. I think that helps a little bit but there’s definitely like some…I guess awkwardness I guess since I’m not a parent. For you or for them? I think mainly on my side. I have to develop my skills to be able to tackle those topics if that makes sense. They see me interact with the kids but maybe I’m thinking about it too much. For instance, we were having a group about forgiveness, specifically when you can’t say sorry, like if they pass away or something like that. And this one woman was saying she has a bad relationship with her mom but really being able to forgive her for not being there, emotionally, and letting that go, and how she can be a better parent to her child. Seeing them create boundaries with people on the outside they may not have had, like, those are all the little things that count. When the house is cohesive. That’s always a good time. It makes coming to work more enjoyable. Running the groups are a lot better. Not having that tension. So, when the house is cohesive and everything is running smoothly, that’s a good time to be at work. You’re a blogger outside of this. What’s kind of your interests and what do you want to do for our blog? I did a beauty blog in undergrad. I knew I liked writing. I was a good writer. Then, in my Master’s Program, I was like, “I’m really into this mental health thing. I like reading about it.” So then, at the end of my first year in my Master’s Program, I started doing a mental health blog with Joy Day Movement. They have a website and tell different stories on mental health. I was blogging for them. Then, I joined group therapy associates. I do their marketing and blogging for them. We talk about relationships, dating, couples, family stuff, mental health of course. A range of things. Hopefully I can get into more storytelling with my blogging for Samaritan Inns. I like telling other people’s stories. I think words are really powerful. So, I want to tell some of the women’s stories through the blog. I think they’ll be more comfortable. And also, it will let them see how far they’ve come. See how far they’ve progressed. I guess like being an inspiration to others. Stay tuned for Jalyn’s first blog post for Samaritan Inns! 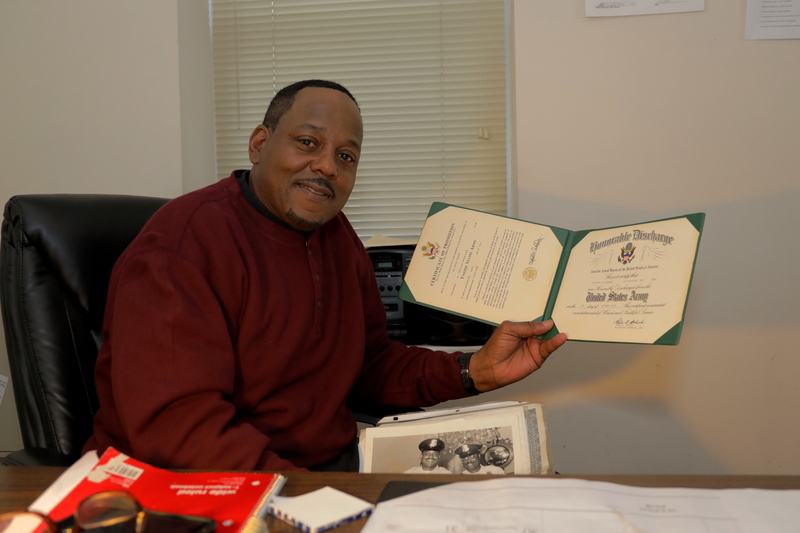 When Lee Pearson’s wife threw him out of their house, he only took one thing with him: His Certificate of Honorable Discharge from the US Army. “It’s because it’s the only thing I thought I did well,” he said. After being discharged from military service, Lee worked for the National Archives as a security officer. But one of his co-workers introduced him to crack cocaine. “Once you go over, there’s no return. And I went over. I partied every night. Even though I had to go to work the next day, I still partied. And, it started to take me down. Late paying bills. Stealing. Whatever it took for me to get it, I was doing. It all goes with the territory. So he walked several miles to a Veterans Administration (VA) hospital. “I think it was God’s grace that I even thought about the VA,” he said. Lee participated in a 90-day treatment program at the VA Hospital. His counselor told him that 90 days is not enough for a person to reestablish back into society. The counselor recommended Samaritan Inns because of the Treatment and Recovery Continuum of Care. This is a key feature of Samaritan Inns. Each successive step helps to meet the individual’s needs, while fostering greater independence and responsibility. Lee stayed at the Mozart Inn. The Single Room Occupancy program is the last phase in the Continuum. So Lee moved to Tabitha House. Gradually, his recovery started to reap long-term benefits. He reestablished a relationship with his daughters and ex-wife. He found a job as a shipping supervisor for a government agency. 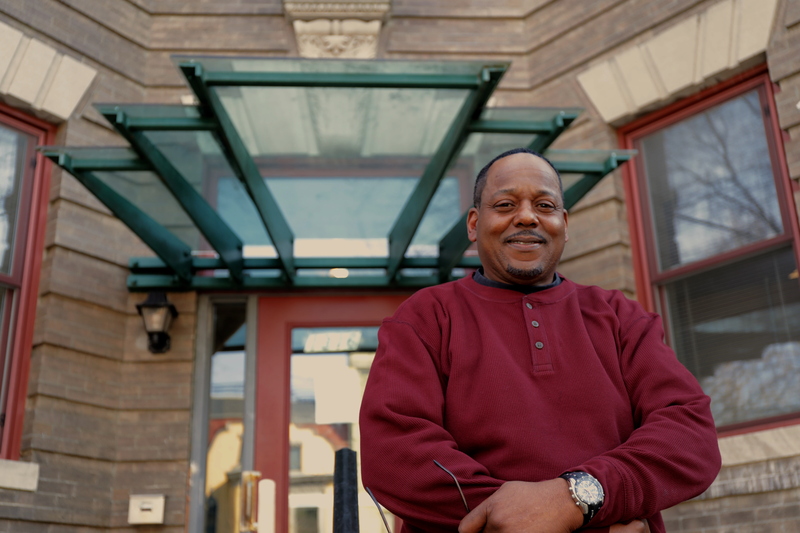 In addition to his government job, Lee works at Samaritan Inns as an evening property manager at Elisha House. In addition to his Army service, Lee has discovered that this is something else he does well. 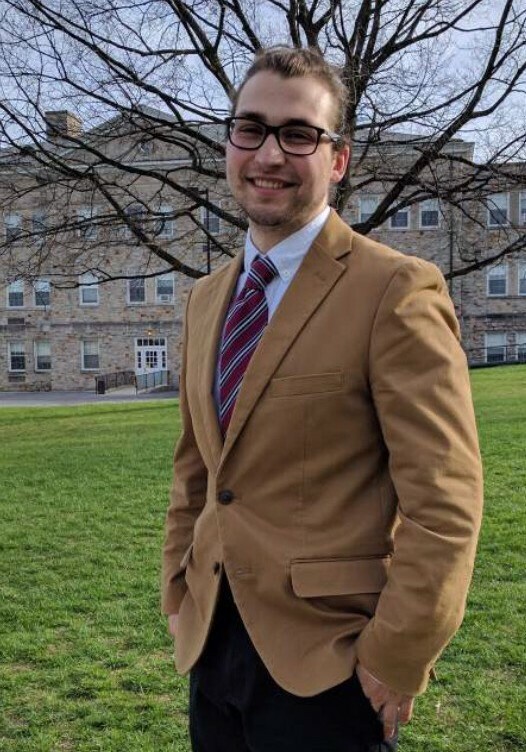 While many college students spend their Summers relaxing and recovering from a stressful school year, Michael Hochstein, a Psychology & Biochemistry double major at Mount St. Mary’s University, spent his summer with Samaritan Inns. As classes start up again this week, we asked Michael to reflect upon his experience. What made you want to work for Samaritan Inns? I wanted to put my time and energy [this] summer into an organization that made a real positive impact in the world of mental health. Upon looking at my options, I saw that Samaritan Inns does just that. It’s people pouring everything they have into helping the homeless and treating their mental illnesses. That is something I wanted to be a part of. What are some of the things you learned while here? I learned and refined some basic skills, like Microsoft office. I also got to photograph and write a blog post about Deloitte’s Impact Day, where they came in and helped beautify one of the [Affordable Housing Program Buildings] for the residents. I also gained more insight into the mental health treatment process and got to meet plenty of amazing people! I honestly did love my time there, I got to do a lot of things I didn’t expect but that helped me become more well-rounded. What are your future goals (education & career)? Has this experience changed them? I hope to eventually get an MD and work as a psychiatrist in a psych ward. This experience didn’t change my goals as much as strengthened my resolve to achieve them. I saw all the work that Samaritan Inns does and the positive impact it has, and knew more than ever before that I needed to be a part of something like it. Mental health is neglected in our world but is so very important. What was your favorite part of working for Samaritan Inns? My favourite part of working for Samaritan Inns had to be the [Clark Construction cookout], where some executives came and cooked for the residents and then we all ate together. It was a very cool experience to see these important men make a point to serve and to interact with the residents. Any suggestions for anyone interested in interning for Samaritan Inns? My suggestions would be to make yourself and your skills known to everyone in the office.Be willing to do any job, even if it is new to you. They will have plenty of jobs for you, just be willing to help out. The staff and residents both greatly appreciate it! We are truly grateful for Michael’s dedication to our mission. If you, or someone you know, would be interested in an internship with Samaritan Inns, please email us with your qualifications and areas of interest. Paul Gallagher, a Principal at Deloitte, has served on Samaritan Inns Board for more than eight years. We sat down with Paul and asked him a few questions about his work with Samaritan Inns. Why did you join the Board? Can you talk about the differences, progress or challenges that we’ve achieved since you’ve joined the board? When I joined the board, our board was in a major transition period. We had some board members that had been around since the beginning and were leaving the board. And we were also experiencing a major exodus of major donors [due to the 2008 financial crisis]. [We] needed a primal shift. I think Larry did a masterful job, in terms of diversifying the funding sources away from just private donors, to tapping into the public funds that are available to, to fund treatment. Obviously it was a difficult path to navigate, because you know, you want to stay true to the mission and values of what Killian had set up. Yet, you want to help our program grow and evolve. What is one challenge Samaritan Inns currently faces? What is on the horizon for this year? How can someone get involved with our mission? The Board at Samaritan Inns is integral to ensuring our mission to serve the most underprivileged members of our communities is successful. 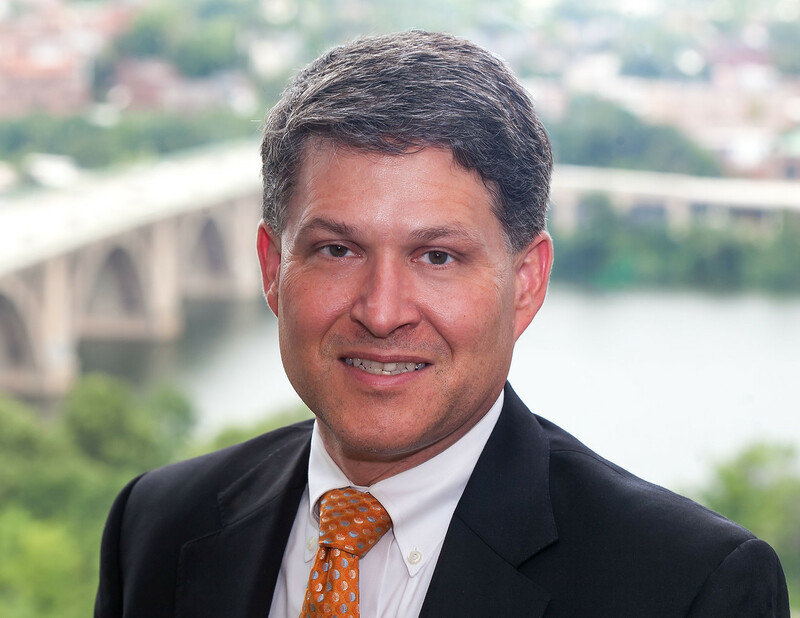 We are very proud to have Paul’s wisdom, dedication, and passion contribute toward our goal of breaking the generational cycle of substance use disorder and homelessness in our Nation’s Capital.